Here is your chance to buy one Entree and get one free at these amazing restaurants! • Card valid for one meal and one-time use per restaurant. 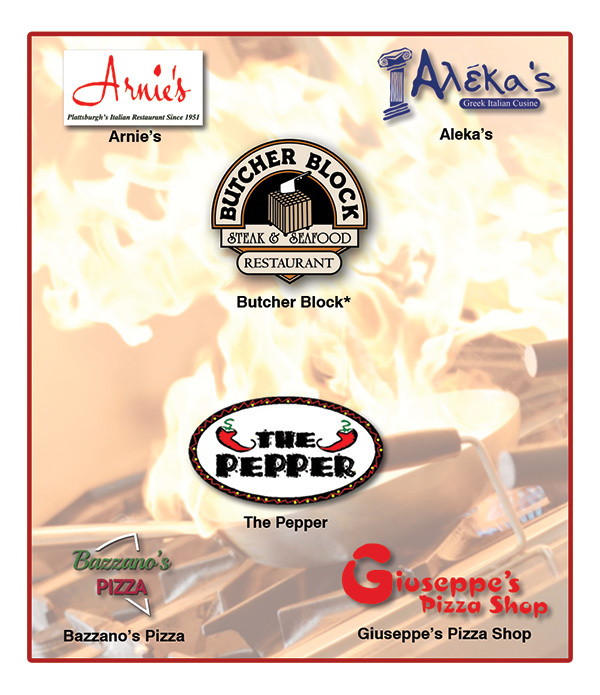 • *Giuseppe’s Pizza: Homestyle Dinners Only / Dine-in Only.